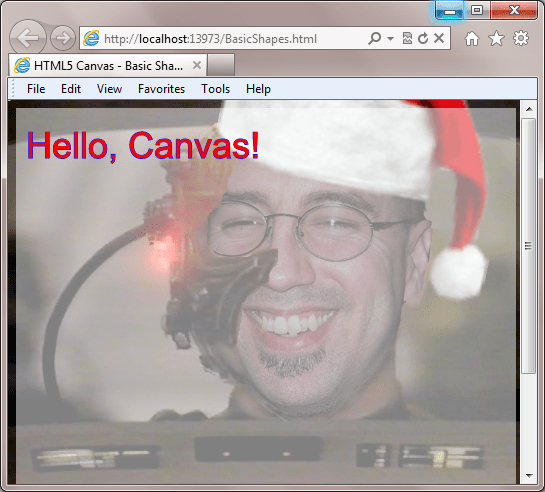 The HTML5 Canvas element holds much promise in terms of making it easier for web developers and designers to create rich animated elements for their sites, without the need for additional browser plug-ins. In this post, we’ll look at the basics of drawing shapes in Canvas, and a little bit about CSS and Canvas. 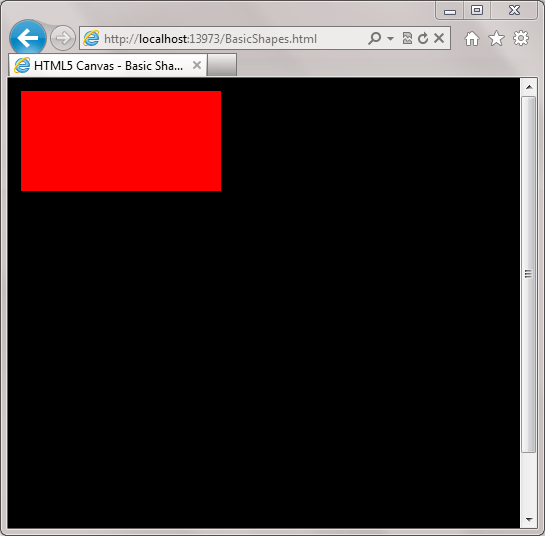 To do any drawing in HTML5 Canvas, you’ll generally want to set the style of the drawing context API that you plan to use, either fill (the inside of a shape) or stroke (the outline of the shape). By default, the style for each is simply the color black expressed in hash notation (“#000000”). To set a different fill color, you simply call context.fillStyle = color value, where color value is a color in any valid CSS format. Similarly, to set the stroke for the context prior to outlining a shape, you call context.strokeStyle = color value. You can see examples of both of these in the preceding code snippet. Note that there are additional properties that define the style for a shape’s outline, but we’ll cover these in a future post. Once you have the fill and stroke set to the desired colors, you can start drawing. 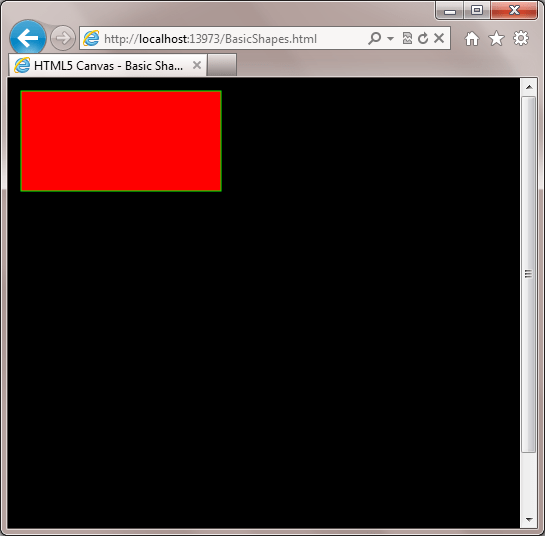 It may seem odd, but there’s really only one type of shape that you can draw directly with a canvas API, and that’s a rectangle. 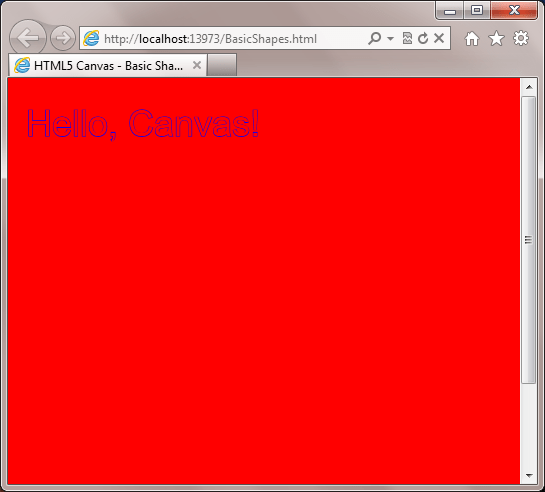 The canvas API has two methods specifically for drawing rectangles, context.fillRect and context.strokeRect. Of course, what fun would it be if we only draw boxes? 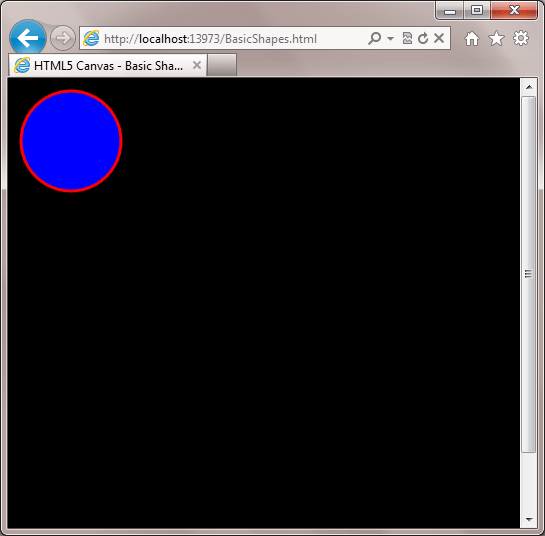 So we’ll also take a look at how we can draw circles using context.arc, and a few other methods. there’s a fair amount that’s new here, so we’ll go through it line by line. In line two, we introduce context.lineWidth, which as you might guess, allows us to specify the thickness of the border we’re going to draw. fillStyle and strokeStyle work just as they do for rectangles, so we’ll skip over them. Next we call context.beginPath(). 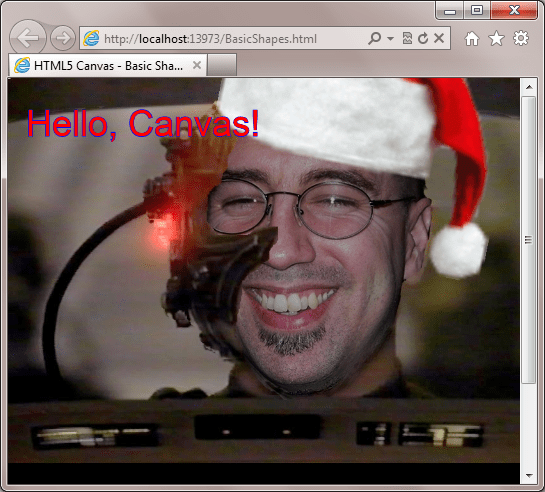 This tells the canvas element that we want to start drawing a path, but beginPath itself does not do any actual drawing. The meat of our circle code comes from context.arc(). 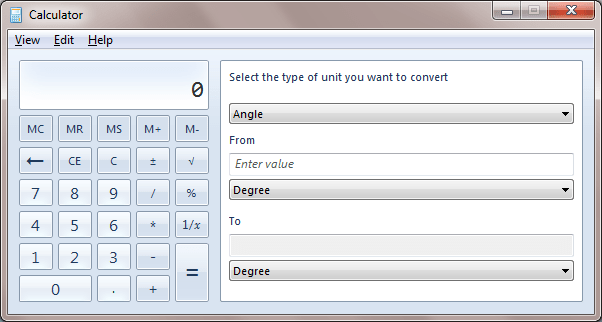 This function allows us to draw any portion of a circle. The first two arguments are the x and y coordinates of the center of the circle. Note that this differs from fillRect, so you will need to offset your xy position by the radius of the circle (plus any padding you want). We’re using the values 55 and 55, so that the circle which uses a radius of 50 (that’s the next argument), will be slightly to the bottom and right of the top left corner of the canvas element. The 3rd argument, as already mentioned, is the radius for our arc/circle, and we’ve set that to 50. The 4th and 5th arguments, respectively, are the beginning and ending angle for our circle, expressed in radians. We start from 0, and go to Math.PI * 2, which is equivalent to 360 degrees, giving us a full circle. The 6th and final argument determines whether or not we’re drawing the circle counterclockwise…by passing the value false, we’re saying to draw clockwise. Obviously, this matters a lot more when you’re only drawing part of a circle. 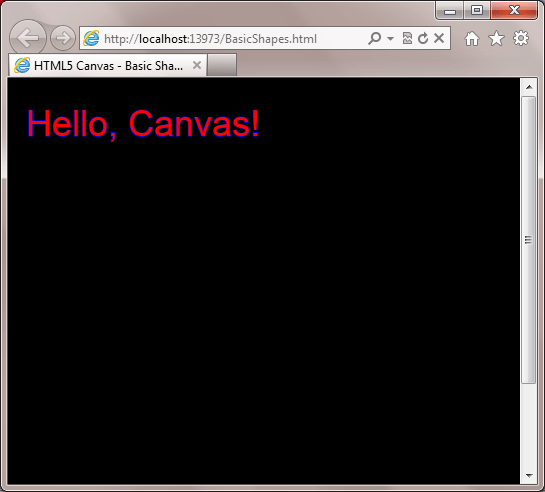 The output is simple, but we’ve only just gotten started exploring what you can do with the HTML5 Canvas. Stick around, because in Part 3 of this series, I’ll delve deeper into drawing with paths, and text. If you found this useful, why not tell your friends? You can also subscribe to my RSS feed, and follow me on twitter for more frequent updates. Absolutely. Just trying to take things one at a time. Have to walk before you can run.